Paddling legend has it that this rapid was formed around an entire wreckage of a taxi that lodged in the river, and quickly accumulated debris and mud. and drop back into the river. There is a fun rapid with strong eddied and lateral currents immediately below this rapid, so keep paddling positively! Do your homework on this one beforehand because it’s quite difficult to see when approaching the rapid. Stay 1 metre from the left hand bank and follow the bank’s edge, not the main water flow. There is a big drop in the main flow and by staying left the is a shelf which means you won’t dive as deep. This is quite a mean rapid especially because you can’t really see where you’re going until the very last minute. 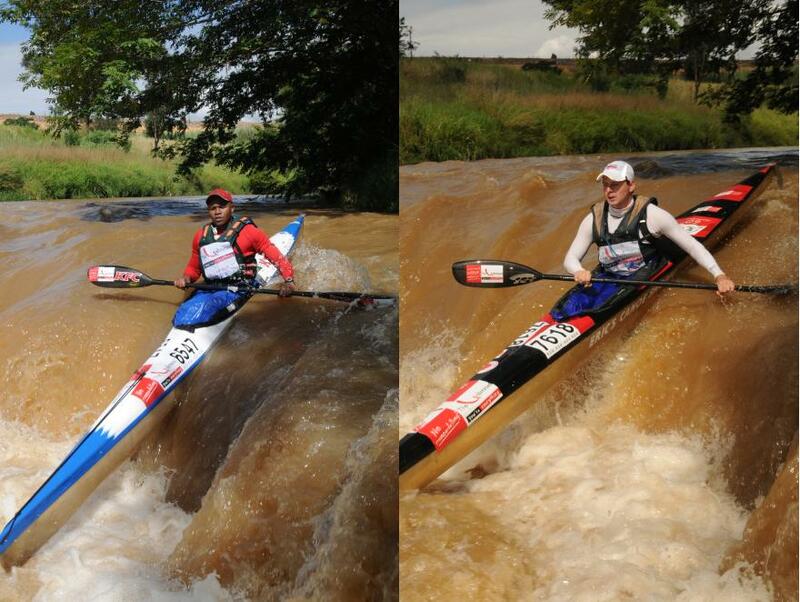 Stroke the left bank with your paddle and stay within 1metre of the bank as you approach the rapid.